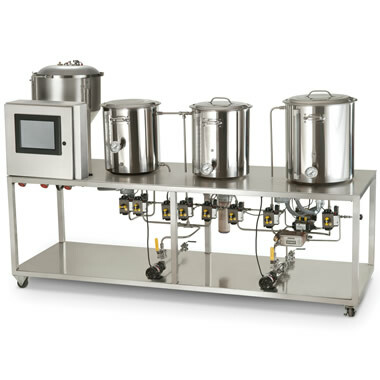 This is the automated brewing system used in professional microbreweries, scaled for the home brewmeister. Available exclusively from Hammacher Schlemmer, this Heat Exchange Recycling Mash (HERM) system creates a refreshing lager, a spirited Hefe-weizen, or a full-bodied stout by simply entering a recipe via an integrated touch screen computer. 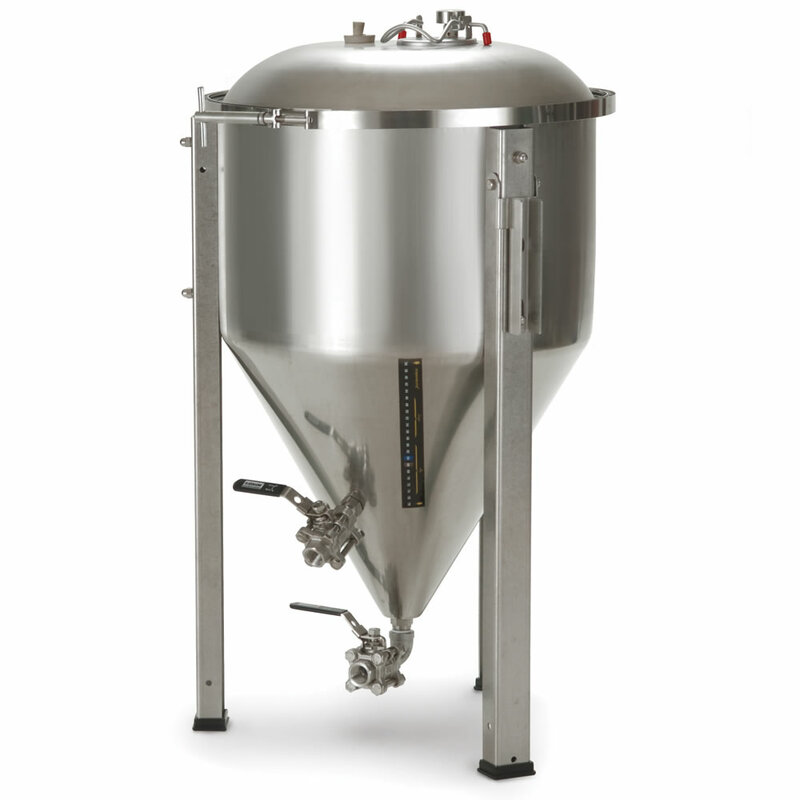 A 15-gallon hot liquor tank with a built-in heat exchange raises strike/sparging water to the ideal brewing temperature and automatically circulates it to a 15-gallon mash/lauter tun that extracts sugar from the ground grain, or mash. When the extraction is complete, the liquid is pumped to a 20-gallon boil kettle where the mash is converted into the final wort. During the boil, the system reminds users to pitch hops according to the recipe entered. After the boil has finished, the wort is cooled as it is pumped from the boil kettle to a free-standing 14-gallon stainless steel fermentation tank, and the unit signals when it is time to add yeast. 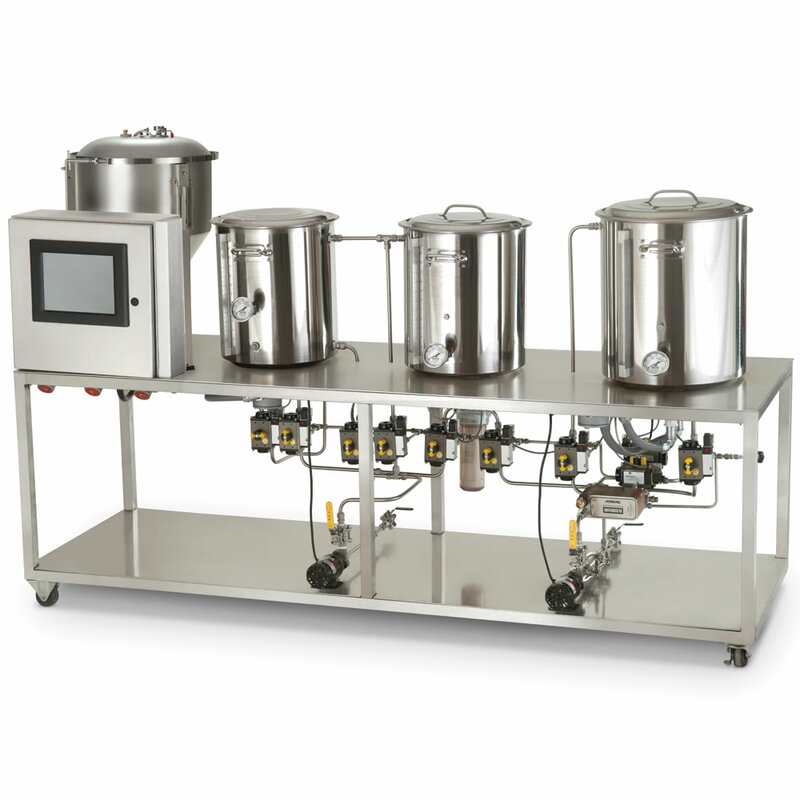 Electric level sensors, gauges, and temperature detectors relay information back to the computer, providing accurate, real-time monitoring of the brewing process. All receptacles as well as the 30" H x 96" L x 28" D mobile worktable are made from industrial-grade 304 stainless steel. Includes 15-lb. grain mill, eight reusable 5-liter mini kegs, two 2-liter growlers, six 19-oz. dimpled beer steins, and mash tun mixing paddle. Special conditions and guarantee limitations apply.